Really enjoy your yellow-green-ish elve ! I scrolled through your blog a bit. 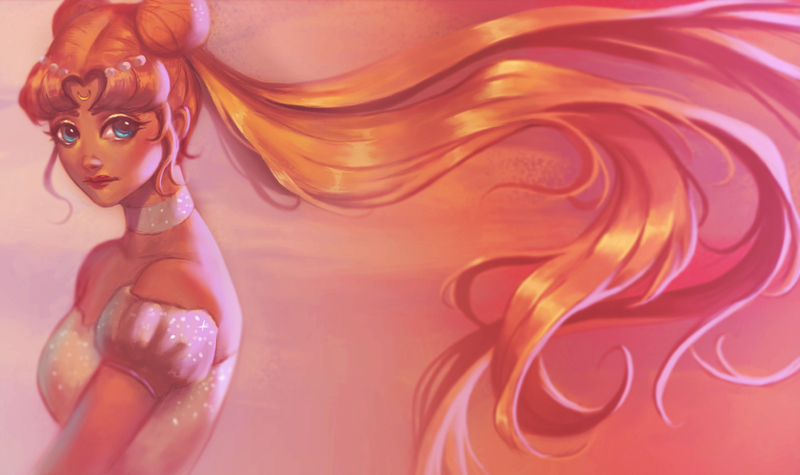 The rendering in your mermaid piece is really lovely btw; very crisp! Regarding the finished feeling, something that could help you out is taking works from artists that you really admire. 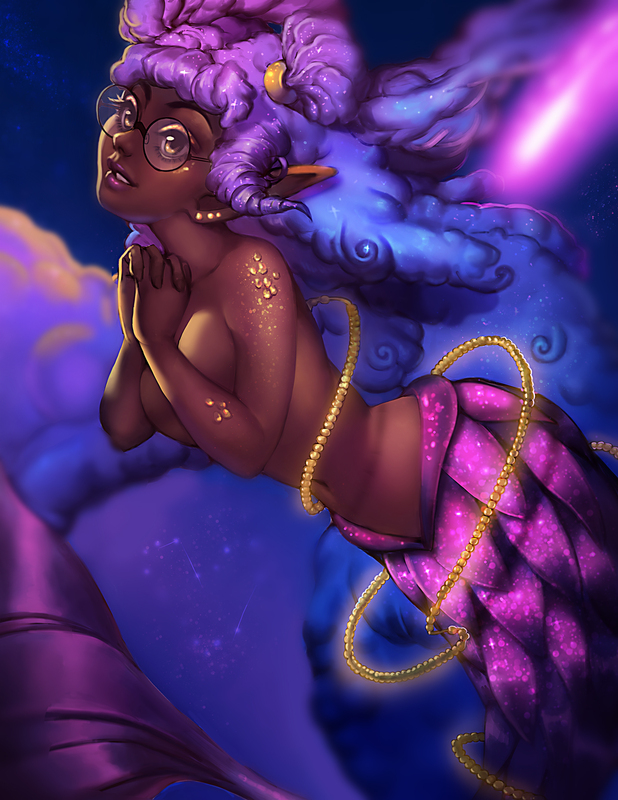 Then, you can take a finished piece such as your mermaid collab and compare that with the piece(s) of the chosen artist(s). Analyze and jot down notes of the differences in levels of finish between the pieces. Think about what the artist(s) did and how you can possibly apply that in your future work. I hope that helps, and if not, feel free to shoot me a message for an overpaint! First of all, thank you so much ! I'm happy that people see the progress. 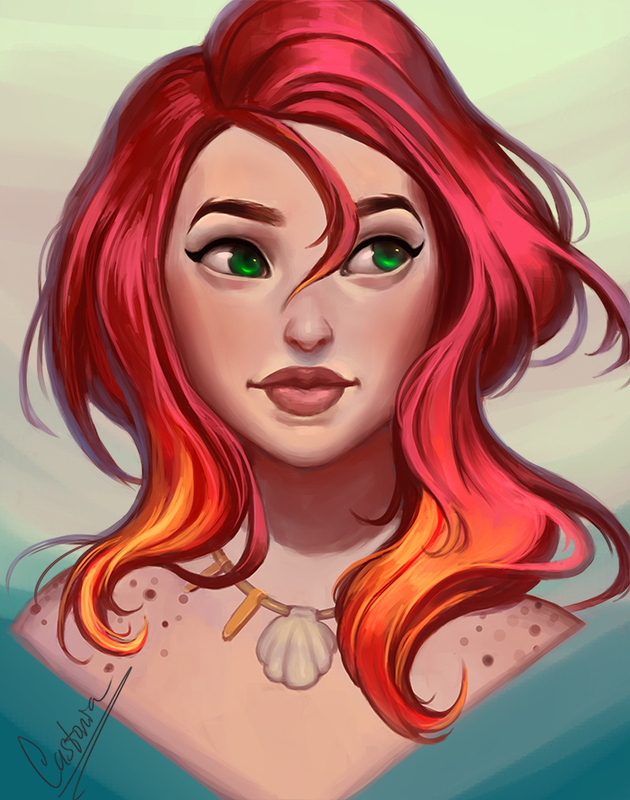 I really do need to look at other ''finished'' artworks and I'll definitely do that, thank for the advice! 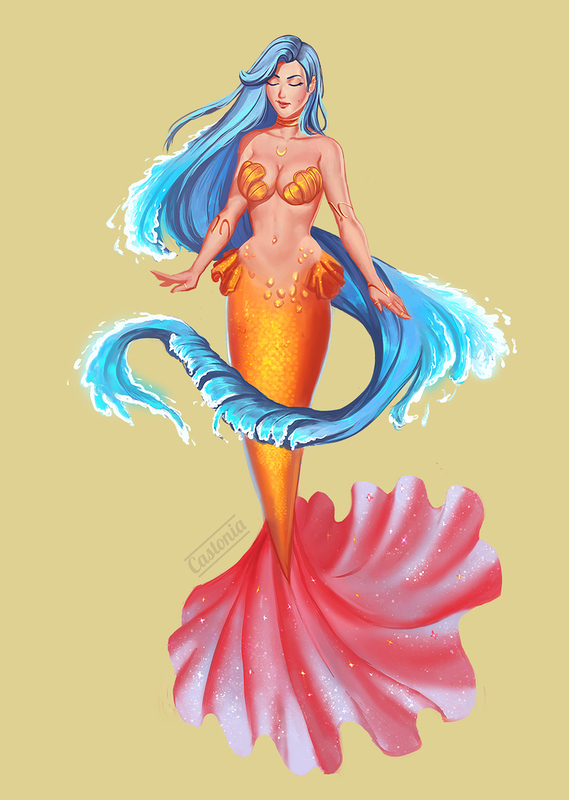 Another mermaid piece, what a surprise. This one is a Birthday gift. Working on a this month's Character Design challenge on FB , the theme is Space pirates. 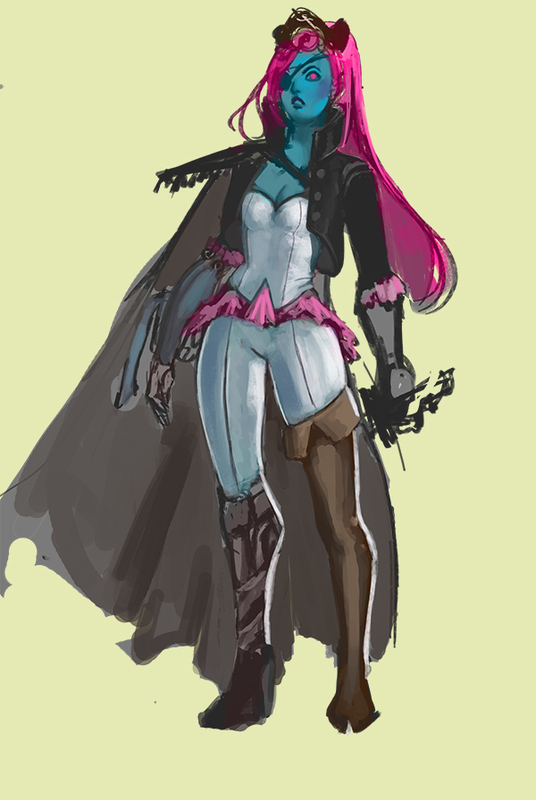 It's kinda hard to make it read as she is a ''space pirate'', but I hope I'm in the right direction. 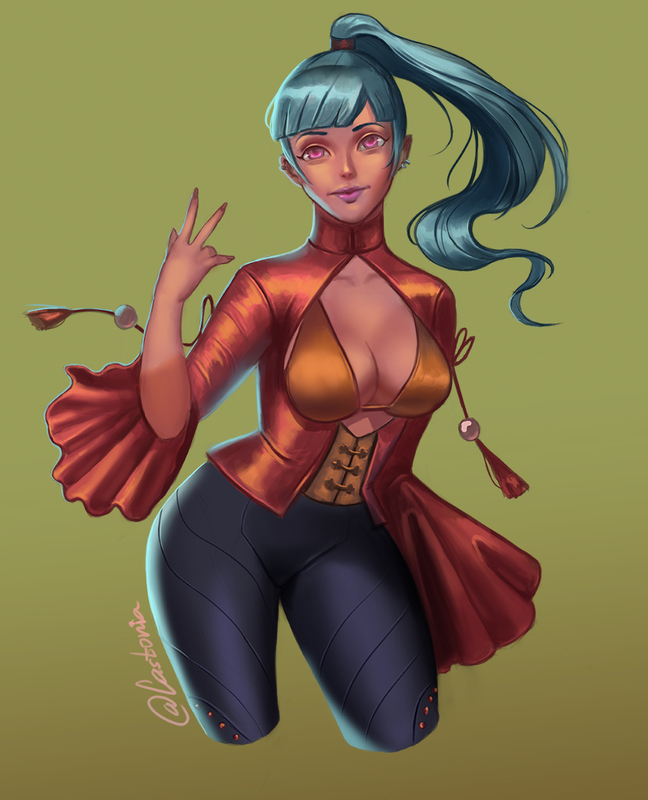 Any tips are very welcome! 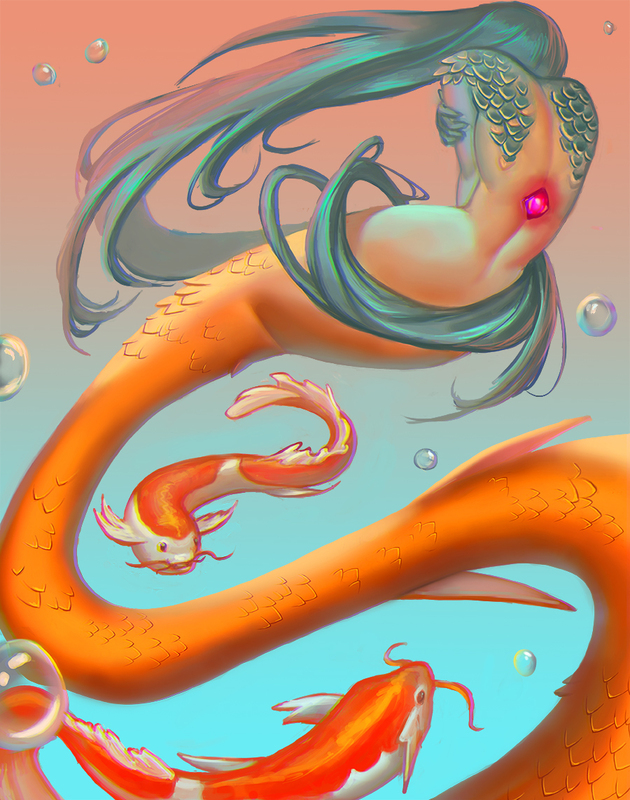 These are some mermay pieces I tried to do more of a character design rather than a character w/o a story or personality, unlike I always do. So this is Lophi Ragnhild and she's a bounty hunter. Any feedback is really important to me, thank you ~ As for the 2nd one it's just a painting i guess,nothing special. 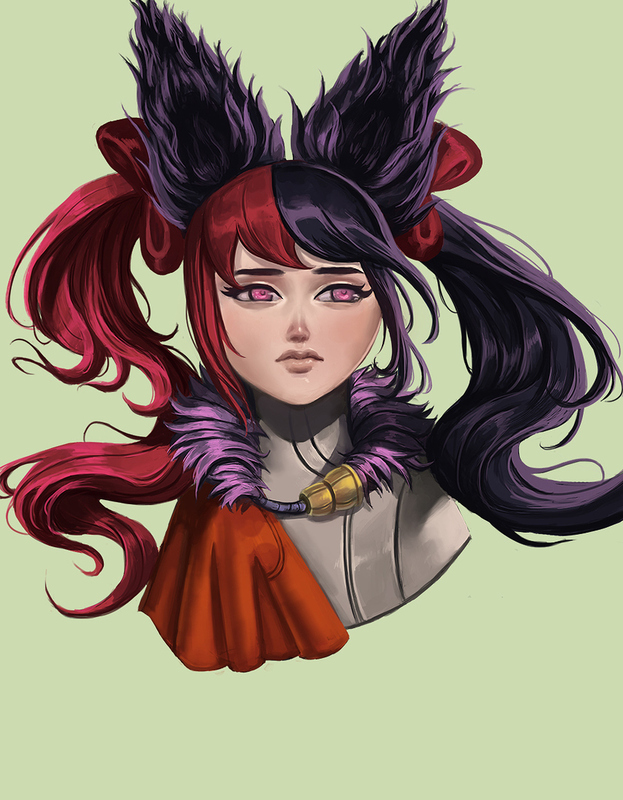 I'm honestly quite happy how they both turned out, I feel like I'm progressing which is good. 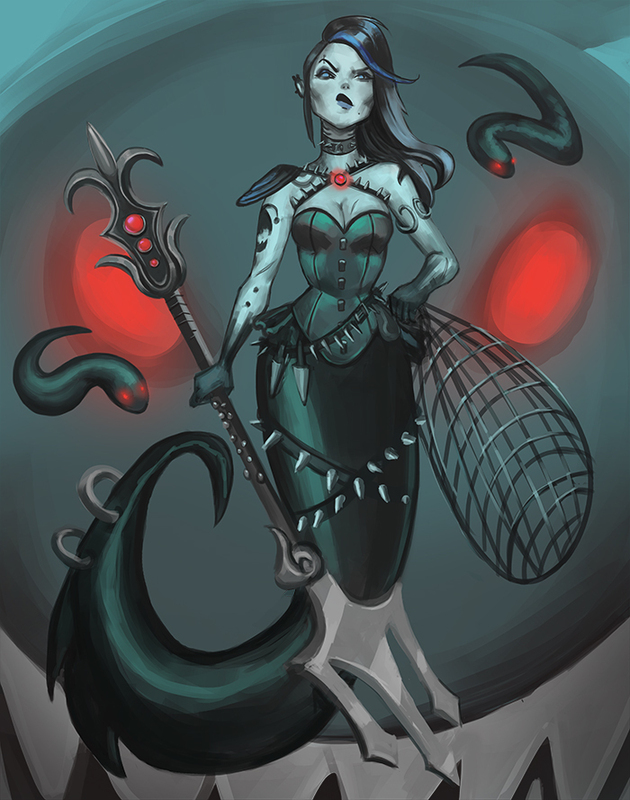 I love the expression on the dark mermaid, you really did capture her personality too. The only thing I would critique is the rendering on her tail (on both pieces actually) - it feels to much like plastic to me, not enough color variation and shades, just one unified shadow and light area, making one big smooth shape. The movement and flow you have in the second piece is amazing, colors too. Both are really great work!! Some pretty vibrant ones in there. Most of the faces are pretty awesome too Cool designs. Great job. 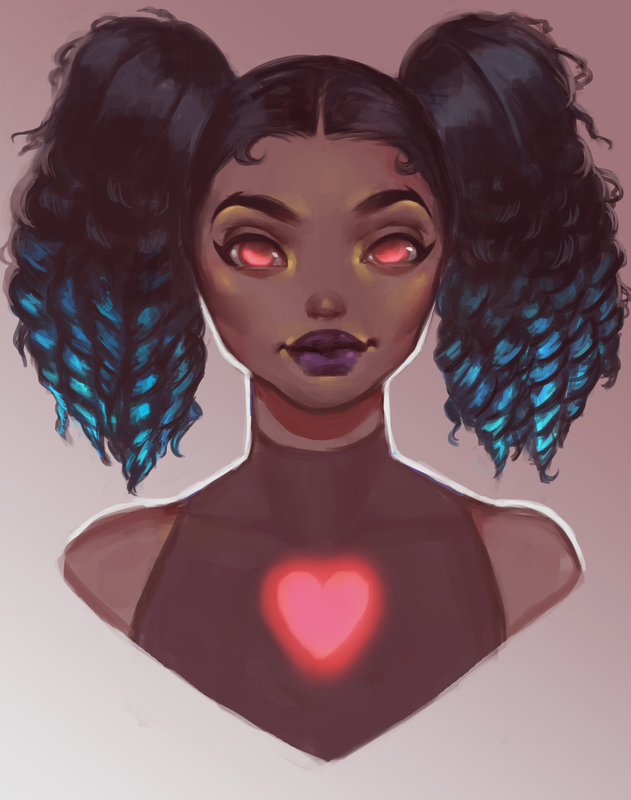 Makes me want to do more painting and rendering. I think they both came out really well. Your improvement is really showing. 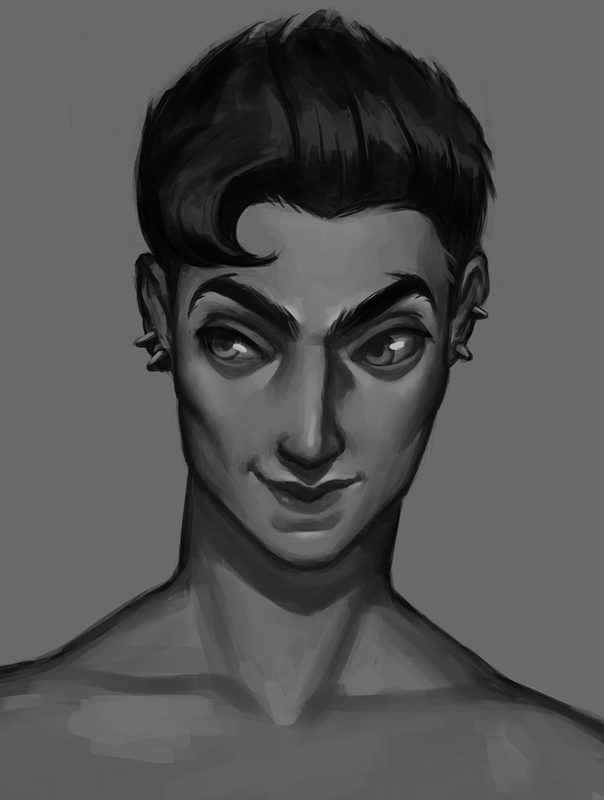 I wish I had more time to draw, drawing this dude was something different and unusual for me, I don't normally paint guys and i need to fix that , because i found it way more interesting to draw something new for me, I didn't struggle as much I usually do w my stuff. 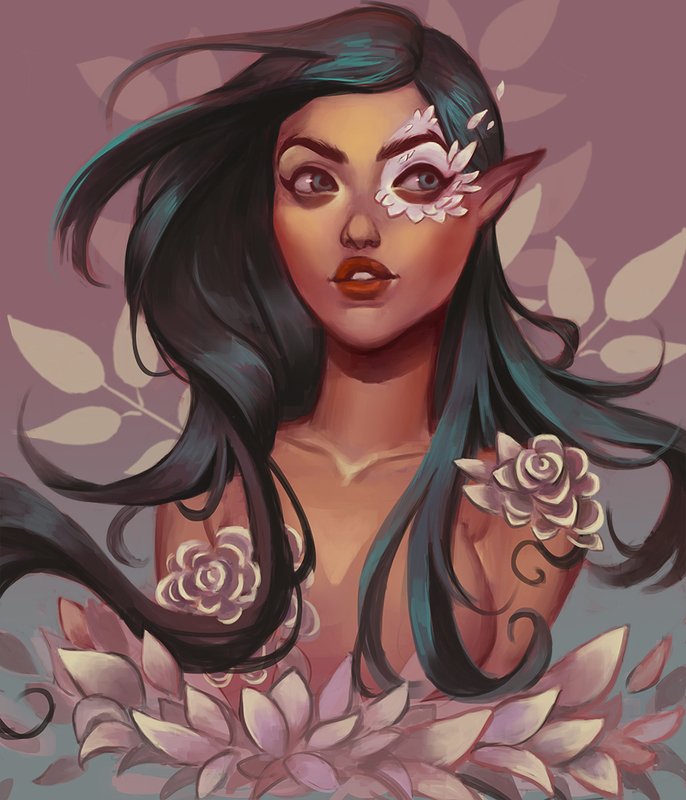 I wish i could catch up on the Artschool stuff, ive missed so much and i feel like im not progressing at all T-T .. the 2nd piece is for the draw this in your style challenge the original concept is by mioree, i loved the design of her character but i feel like my painting ended up being really muddy, messy and sloppy looking, but my friends actually liked it more than my usual drawings which is beyond me, so I left it as it is. Nice works. It is good to get out of your comfort zone here an there. Keep up the good work.